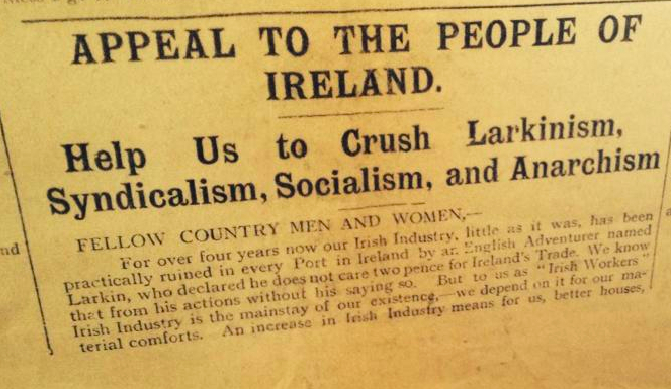 During the 1913 Dublin Lockout (when the employers tried to crush militant trade unionism by locking out members of the Irish Transport & General Workers Union) bosses and clergy brought out their own propaganda. The above cutting is from ‘The Toiler’, an employer backed paper set up to counter the influence of ‘The Irish Worker’. It collapsed after 14 weeks. 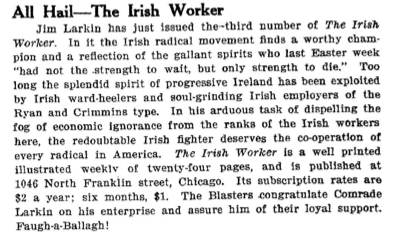 There was also ‘The Liberator’ which appeared for a few weeks in August 1913. 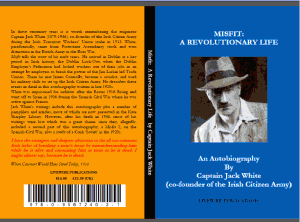 Both papers claimed to be for ‘respectable’ and ‘moderate trade unionism’ but their only connection with unions was their support for the yellow unions set up by priests like Fr Patrick Flavin’s ‘Workers Union’ in Dun Laoghaire, and the ‘Independent Labour Union’ set up by another priest to break the agricultural labourers strike in north Dublin. These ‘unions’ had no real existence and disappeared within weeks.